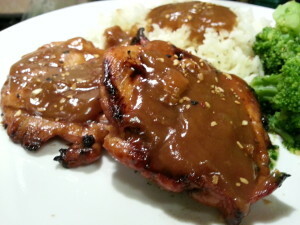 Last week, I published my recipe for Teriyaki sauce. This week, I want to share some of the ways I use that recipe to make Teriyaki Chicken. 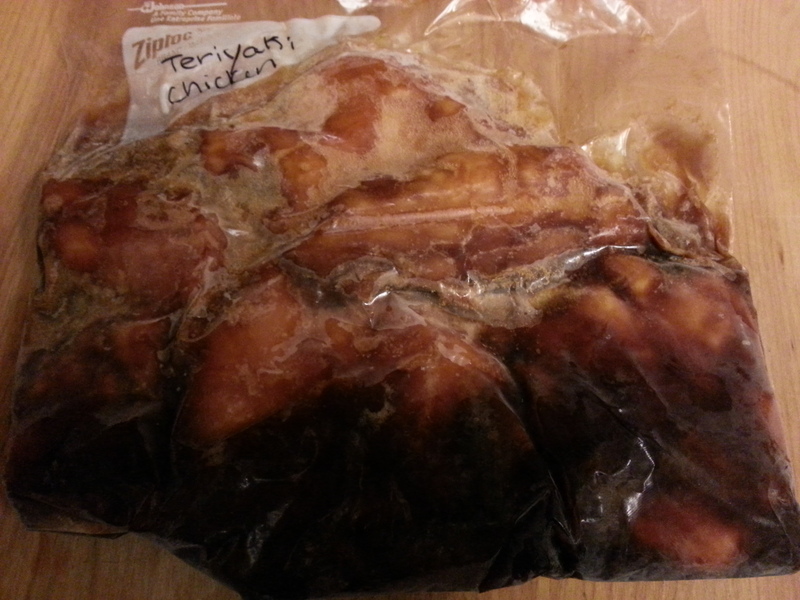 It’s not uncommon for me to put all of the teriyaki sauce ingredients into a zip top bag before adding chicken. I put this bag into the freezer so that I have ready made teriyaki marinated chicken which can be cooked in a variety of different ways. One of the easiest ways to prepare this chicken is on the stove top. 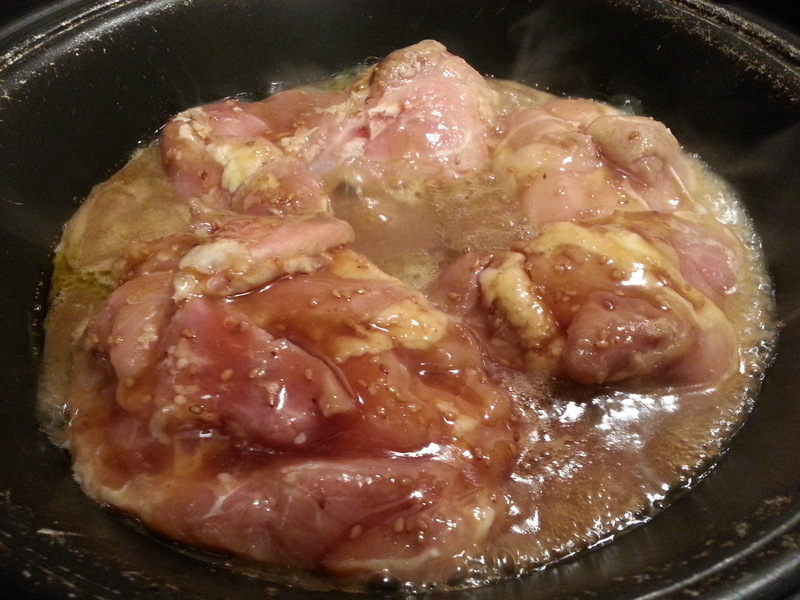 Put the chicken along with the marinade into a large diameter pan on the stove and bring it to a boil. The pan should be large enough to allow the chicken to be placed into it in a single layer with the sauce partially covering the chicken. Once it is boiling, lower the heat to a simmer and cover the pan. The chicken is essentially poached in the teriyaki marinade. Allow the chicken to cook over low , flipping it over half way through the cooking process. It usually takes 20 to 30 minutes for until the chicken is thoroughly cooked. Flip the chicken over half way through the cooking process. At this point, the chicken can be removed from the pan. The remaining sauce can be thickened with a couple of teaspoons of cornstarch mixed with a tablespoon of water, but this is optional. My favorite way to serve this version of teriyaki chicken is with a side of rice. 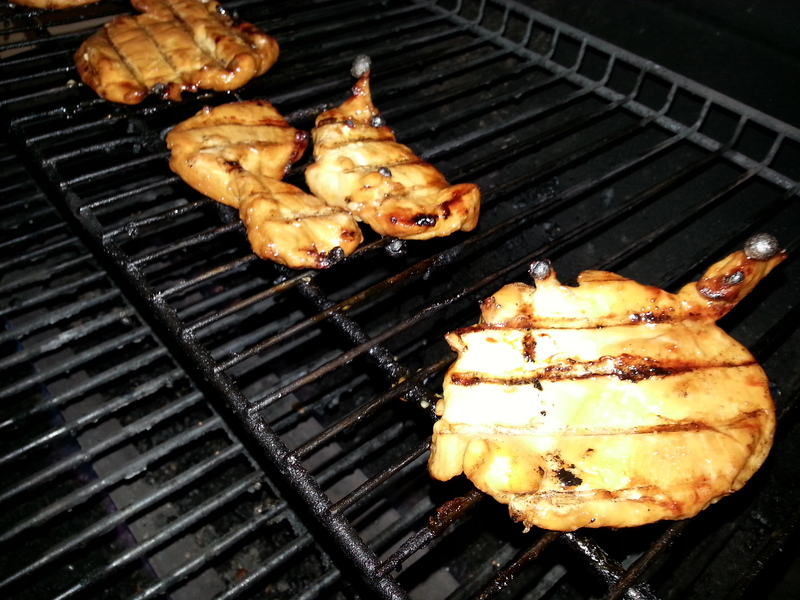 Grilling is another great way to prepare this teriyaki chicken. 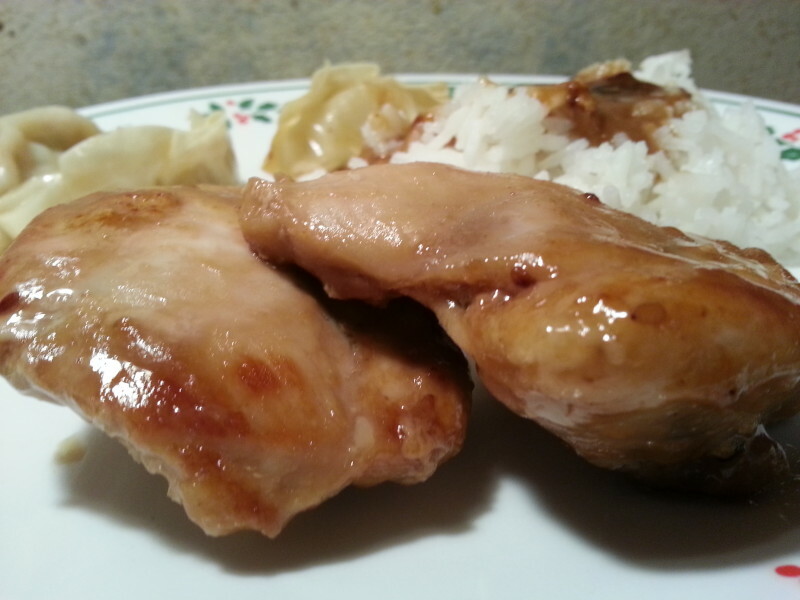 The freezer teriyaki chicken can also be prepared in the slow cooker. 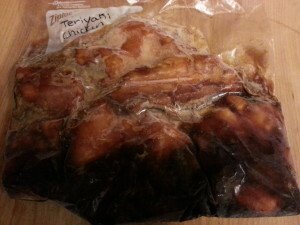 The thawed bag of chicken and teriyaki marinade is poured into the slow cooker and allowed to cook on low for 8 hours or on high for 4 hours. At the end of the cooking time, the chicken is removed from the pot, and corn starch, mixed with a little water, is added to the slow cooker and allowed to thicken the remaining sauce. The chicken can be served over rice or, if boneless and skinless chicken was used, shredded and served on rolls to make teriyaki chicken sliders. Homemade teriyaki marinade is a very versatile thing. The sauce is flavorful, and by freezing the chicken in the marinade, you have a homemade frozen convenience food at your fingertips for a fraction of the cost of a commercially prepared version. Here’s the printable recipe. Give it a try and let us know which way is your favorite. This recipe can be prepared many different ways. This printable contains three versions of the recipe. To make this recipe gluten free, use Tamari instead of soy sauce. 1 pound boneless and skinless chicken pieces or 2 pounds of bone in chicken pieces. Place all ingredients except cornstarch into a zip top bag and seal it. Place bag in freezer until ready to use or for up to 3 months. Thaw chicken and sauce mixture in refrigerator for 12 to 24 hours. Pour contents of bag into a sauce pan. Reduce heat to low and cover pan. Simmer Chicken for 20 - 30 minutes, turning pieces over half way through cooking time to ensure even cooking. Remove chicken from pan when cooked. 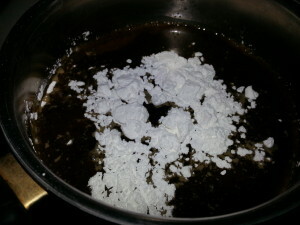 Mix 2 teaspoons cornstarch with one tablespoon of water. Add cornstarch and water mixture to the teriyaki sauce still in the pan, stirring continuously until sauce thickens. Serve chicken pieces topped with some of the thickened teriyaki sauce. Remove chicken from marinade and place on a hot grill. Cook chicken for 10 - 15 minutes on each side over medium heat on grill until heated to 165 degrees. While chicken is cooking, pour marinade into a small sauce pan and stir in two teaspoons of cornstarch. Bring to a boil, stirring constantly, until thickened. Serve chicken topped with some of the thickened teriyaki sauce. Pour chicken and marinade into the crock pot. At the end of the cooking time, remove the chicken from the crockpot. Mix 2 teaspoons of corn starch with 1 tablespoon of water. Pour into the crock pot, stirring quickly to prevent the formation of lumps. Turn heat to high if it was not already on high. 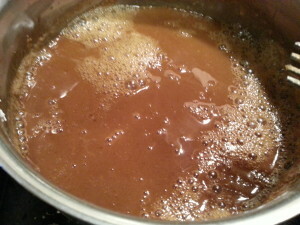 Bring sauce to a boil and stir until it begins to thicken. Serve thickened sauce over chicken, or shred boneless chicken and return to sauce before serving. I am a serious lover of teriyaki and any Asian marinade for poultry! We usually grill our chicken or turkey once it dances in the marinade. I can’t wait to try your recipe Patty! Thanks for visiting my blog today, I left a reply about toning down the heat in the turkey sliders. I enjoyed your site. I hope you enjoy this marinade as much as I enjoyed your site. Ciao!